Wrapped in a pretty marketing package, a new approach to determine your creditworthiness may now include your cell phone and utility bills. 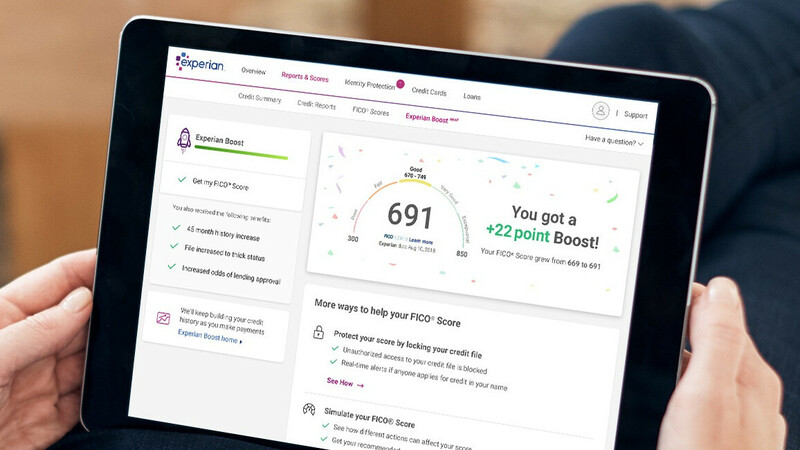 The credit score honchos from Experian - you know, the ones who sold consumer data that was subsequently leaked for 123 million US households just a year ago - are now prepared to stalk your monthly carrier and utility bill for data on how trustworthy you are. Oh, the irony. At Experian, we know that a credit score is the gatekeeper to better financial opportunities. It can make or break people’s access to the very things that help them thrive in today’s economy like getting a loan for a family car or access to a credit card with a lower interest rate. Unfortunately, many consumers have credit files that are considered too “thin”. And while they may be paying their utility, mobile phone and cable TV bills on time month after month, this responsible behavior hasn’t been acknowledged or rewarded with a higher credit score. Experian Boost changes this scenario and give consumers the credit they deserve. As a business, we want to ensure that as many people as possible can access and participate in the financial system and we believe everyone deserves a fair shot at achieving their financial dreams. To participate in the credit bonanza, interested individuals will have to opt into the system, and allow Experian to access the bank accounts from which they pay cell phones, cable TV, landlines and other recurring bills. "This is about access to credit—not expansion of credit," according to Experian, but, given that the move will potentially give lenders the green light for additional loans to more than 47 million people in the US, your cell phone bill could soon be impacting your creditworthiness, too. You might want to correct your article, Daniel. It wasn't Experian that had the huge data breach last year. It was Equifax. Also, it was 143 million people. I know because I was one of them. My apologies, Daniel. I wasn't aware of that one. P. S. Experian is a consumer reporting agency, not a bank. Let me get the coloring books and crayons. No thanks. I don't need these guys looking at my phone bill. They look at so many things already (credit cards, student loans, car loans, installments, etc), so what difference does it really make? Besides, if you pay your phone bill on time, it will only help anyway. Them already having tons of information they shouldn't have doesn't mean we need to give them more. Agreed, but I've never paid my phone bill late in 15 years of having cell phones, so it would only help my credit score. That being the case, I'm all for it. No, your DATA is already out there and is traded freely. But, cancel your credit cards, pay off all debts and start paying cash for everything and it will reduce your footprint and their access to your life. Just pay your bills on time, and never have to worry.